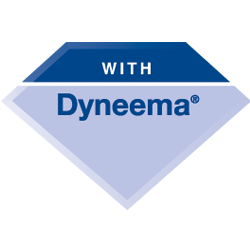 Dyneema® SK78 is used as the standard core within the product. This is then covered to provide a smooth rope with a high breaking loads that floats and does not pick up water. 8-Plait Pre-Stretched is a hard wearing alternative to many of our other Dinghy products. As a result, 8-Plait Pre-Stretched has found a use in many other applications. Dinghy Dyneema® is the English Braids answer to high performance Dinghy ropes. Dinghy Dyneema® features a 32-Plait Polyester cover, meaning it performs well in hardware without getting damaged. D-Racer 16 is designed to offer a more supple alternative to the class-leading Dinghy Dyneema. D-Racer 16 is available in a variety of twist mix colours for ease of identification and can be easily spliced and tapered. 8-Plait Matt is a popular rope within the Dinghy market as a Halyards and/Control Line which is good on the hands without sacrificing performances levels. Sprintline Brights combine the performance of our best selling Sprintline range with the added benefit of neon fibres to produce a rope which is effective in low light. The English Braids Sprintline range features a 16-Plait hard wearing cover which is very durable over time. Our ever popular Sprintline has been specifically designed for the Dinghy market. Available in a variety of bright colours for ease of identification.